The Rocconi Woods, 130 acres of wilderness hidden in southern Tuscany, between Semproniano and Roccalbegna, was the first purchase in April 1995,of WWF with the operation “Benjamin”. It is one of the best preserved areas of the Province of Grosseto, where nature, with the formation of the spectacular Albegna and Rigo rocky gorges, and man, with the creation of a mosaic of hedgerows and pastures, have created an area of outstanding natural importance. 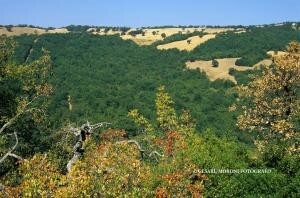 Rocconi has numerous secular trees,pinnacles and rock blades, a Turkey oak and a mixed forest. But is the wildlife, and especially the birds the main reason of importance of the Oasis. In particular, there are several species of diurnal raptors in the area: in addition to the common kestrel and buzzard, nest the rare Lanner (symbol of the oasis), the Biancone, the Hawk and Buzzard. More relevances are given by Wallcreeper and Raven among birds, marten, polecat and wild cats among mammals, Yellow-bellied Toad and crayfish, for the so-called minor animals. Inside the Oasis and in the neighborhood are then present various caves and crevices, – interesting for the speleological fauna hosted. Within the Monte Labbro Natural Reserve there has been for a long time an animal park, run by Comunità Montana.The park covers 120 hectares and is defined a German model “Wild Park”. Among the guests deer, fallow deer, wild sheep and some species of chamois and roe deer. One can even spot the Apennine wolf. 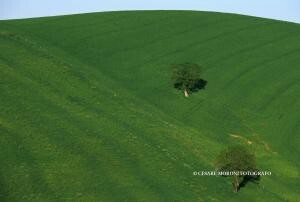 Inland, the evergreen species are associated to deciduous species such as manna, oak, maple and cork. The reserve was created on a proposal from the Amiata Grossetana Mountain Community and represent one of the biotypes of relevant interest worthy of preservation in Italy surveyed by the Working Group for the Conservation of Nature’s Italian Botanical Society and the Research Program on Regional Natural Areas to Protect performed by CNR and the Ministry of LL. PP. The surface of the reserve is about 16 hectares and it’s in S.I.C. 119 “High course of Fiora; to visit also a Franciscan monastery. Extended for 199 hectares, partly owned by ENEL, it borders the province of Viterbo, in close contact with the WWF Vulci oasis. The area is characterized by a reservoir and a quarry. Near the water there is a vegetation formed of shrubs and many herbaceous species, the trees are very limited with a prevalence of poplar and ash south. Among the birds you can meet the hen harrier, the sparrow hawk, kestrel, the osprey, the barn owl, the horned owl, owls, kingfishers, as well as herons, night herons and Squacco. Among the mammals there are weasels, skunks, wild boar, marten, deer, fox and porcupine. Monte Labbro(or Labro) is located on the south-west part of Mount Amiata and it extends for over 650 hectares. The entire area is mid-mountain, with rocky peaks reaching1,190 meters. 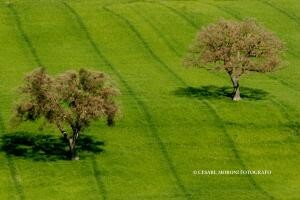 The tree line is poor, in some limited areas are oaks, chestnuts, elms, hazels and maples and the Etruscan violets. Many wildlife species: wild cat, skunk, marten, martens and badgers. Among the hawks is possible to observe the harrier, honey buzzard, buzzards, harriers and the Lanner. A must see :some buildings of historical importance dating back to the movement giurisdavidico of David Lazzaretti. A group of high hills on the south-eastern slopes of Amiata, some reaching height as Poggio della Vecchia (1086 m.) and the Civitella (1107 mt. ); the area is extremely interesting from a geological point of view. Significant karstic area of Monte Elmo and the caves that are found on the adjacent hills. In the woods of La Fonte – Poggio della Vecchia, you can admire maple, maple tribble, the sycamore and maple obtusatnum, near Selvena instead there are plants of chestnuts, some of outstanding size. As birds : the buzzard, the tawny owl and the owl, and mammals such as the fox, porcupine, wild boar, roe deer, weasel, polecat and the marten. The reserve covers an area of 1553 hectares,inside even the forest Patanella and a part of Casa Giannella, known as the State Natural Reserve of Animal Population Orbetello Laguna , controlled by WWF Italy. The flora consists of a coastal pine wood (maritime pine and domestic) and vegetation like Phoenician juniper and cuddly, phillyrea, alternately, smilacee, mastic and myrtle, holm oak, cork oak, flowering ash and oak. Important among the fauna the presence of the spotted eagle, sea eagle, grebes, flamingos, ducks and coots. It’s a humid zone of international importance according to the Ramsar Convention. Located in the upper Valley of Albegna, on the left bank of the river, upstream of Roccalbegna, it covers a total area of 149 hectares with a contiguous area of other 92. 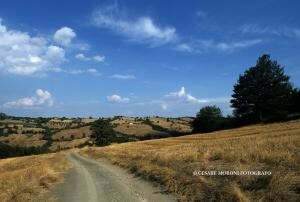 The territory is hilly, with higher peaks as Poggio Crivello and Poggio Cerrino -over 800 meters. Pescinello has the same geological formation of Rocconi Reserve with various limestones: red ammonitico, to calacareniti, for shales and jasper. The flora of this area is extraordinary with many surviving old trees of extraordinary dimensions. In ponds and rivers you can find two rarities: the yellow-bellied toad and the crayfish. Along with the protected areas of Monte Labbro and Monte Penna, to the Wildlife Park, this reserve completes the protection system of Amiata territory . The surface area (434 hectares) includes the countryside and woods extending out of the village of Monticello Amiata,the territory is mostly mountainous, with higher cliffs as Poggio all’Olmo (1,011 mt), Poggio Materiao (936 mt) and Poggio LA Torretta (854 meters) – Poggio all’Olmo where you can admire a majestic pear tree, monument related to an old legend and a local chant. The Reserve covers the upper valley of Albegna with a total area of ​​371 hectares, it’s a hilly territory with a maximum altitude that ranges from about 500 meters on the north to 200 mt. the southern border. Albegna and Rigo rivers flow underlying the towering rock walls. In the woods prevail oak, holm oak and flora shrubs and trees, and areas with olive groves, meadows, pastures, arable land, alternated with thick hedges of hawthorn, bramble, elm , blackthorn and dogwood. Extraordinary is the variety of orchids (28 species). Fauna is represented by rare birds- diurnal raptors like the harrier and the Lanner, interesting is the specimens of Hermann’s tortoise and some reptiles such as the four-lined snake, the rat snake, water snake, the viper and common adder of curls. Among the mammals : the wild cat, marten, badger and the wolf. Very important is however ornithological fauna, inside there is also a WWF oasis. This protection was established in July 1998 considering the great value of this area for waterfowl. 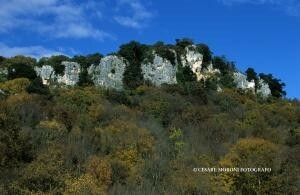 It occupies 30 hectares and it’s managed by the Province of Grosseto. Among the birds founded are reported snipe, gray heron, the brunette and the redhead. In the surrounding areas there are hares, wild boars, foxes, badgers and porcupines.